In our slicers range we offer a selection of light and heavy duty slicers which will ultimately reduce your preparation time and ensure that your food prep is consistently good. If you need more information about any of our products give us a call on 0161 442 9174, we're always happy to help. 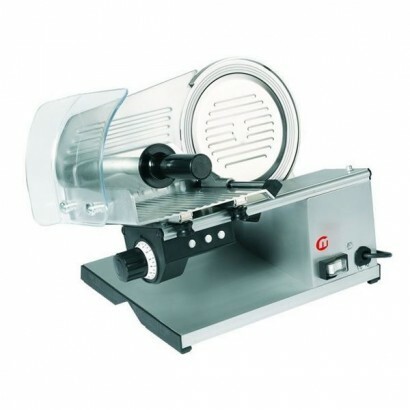 This commercial meat slicer is available in three blade sizes which allows you to have exceptional c..
Metcalfe XS220 slicer, ideal for cold meats, cheeses and vegetables. 220mm (10") blade made from chr.. 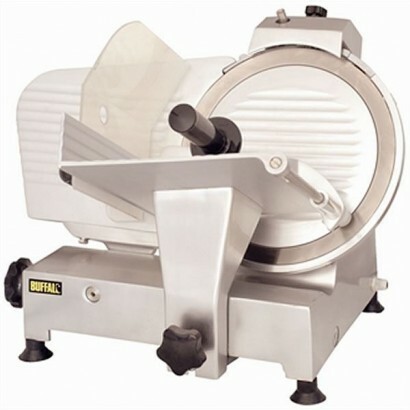 Product Information High quality gravity feed slicer with three blade sizes available. 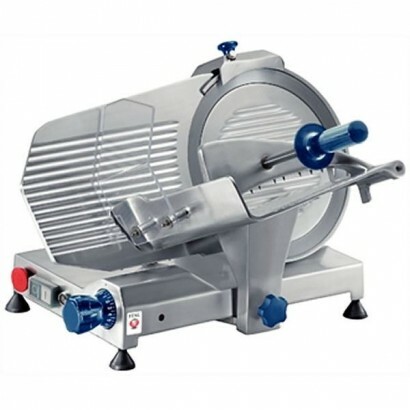 Chromed st..
High quality gravity feed slicer with three blade sizes available. Chromed steel blade and ventilate..